Stamping Tools - Pierce Tooling Solutions | Tipco Punch Inc. 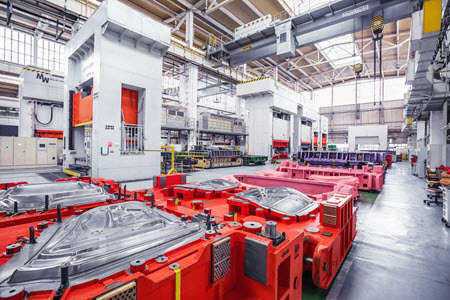 The stamping industry is comprised of three separate – but supporting – areas of specialization: the stamper; the die builder; and, the tooling component manufacturer. For decades, Tipco has been a key supplier to metal stampers involved in pierce tooling solutions for advanced high strength steel, stainless steel, and aluminum work materials. Tipco also continues to be a key supplier to plastics and composite materials stampers. Tipco is a trusted manufacturer of standard and custom punches and die buttons for stampers throughout the automotive, office furniture, appliance, pharmaceutical, canning, and armament industries. Tipco’s stamping tool solutions are highly configurable, including providing customer-specific coating and locating options. Tipco’s stamping tools are available in both inch and metric sizes. Tipco’s tooling is used with a variety of materials, including: ferrous; non-ferrous; aluminum; and, stainless steel. Tipco is also capable of designing and manufacturing unique stamping tool solutions and applications using customer-specific work materials. Tipco’s punches and die buttons are also interchangeable with most competitors’ products. For decades, Tipco has been helping stampers solve the most demanding stamping applications and issues, including extending tool life and optimizing press uptime! Tipco’s design knowledge, engineering capabilities, and manufacturing expertise have been helping stampers of all kinds solve their most unique and demanding blade, extrusion, pilot, and standard pierce punch applications! Let Tipco do the same for you. If you have any questions about Tipco's capabilities, please contact us today.